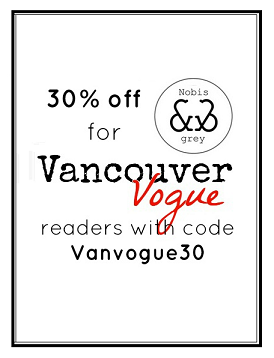 Vancouver Vogue: The Next Vancouver Fashion Week Runway Correspondent? The Next Vancouver Fashion Week Runway Correspondent? My lovely readers, I'm putting my future in your hands! Vancouver Fashion Week is running a contest to find the next Runway Correspondent for their Summer/Spring 2013 shows this month. Me and 3 others have submitted our audition videos to be voted on and eventually judged to find who will win the title of VFW correspondent. Voting is NOW CLOSED on the VFW Facebook page! If you want me to be YOUR Runway Correspondent and keep you up-to-date with all the behind the scenes coverage during Vancouver Fashion Week, then make sure you get your vote in soon! It's time to celebrate the amazing fashion talent our city has to offer! You can watch my video and vote here. The excitement for Fashion Week is building! Time to start thinking about what to wear...oh my! Wow you look really pretty! Love your dress! The colour combination are superb..
what a gorgeous colour combination! orange and deep blue look so good together. love your outfit, and voted good luck! Completely love this outfit on your and voted for you! Such a lovely post: I like this picture so much! !